Gem lovers out there, welcome to our May birthstone jewelry guide. In this post, you will find out what birthstone is May associated with since time immemorial and what properties are typical of this precious gemstone. As a symbol of growth, rebirth and eternal youth, the May birthstone radiates with positive energies and grants its wearers good fortune, harmony, and clarity of thought. What Is the Birthstone for May and What Does It Mean? Emerald, the birthstone of May, is a member of the beryl family. Together with ruby, it ranks as one of the most rear and valuable gems. Specialists say that a flawless exemplary may cost from $1,000 to $10,000 per carat. If you take a look at our Birthstone Jewelry Guide, you will see that there are months which are associated with more than one birthstone, like October and December. Interestingly, the traditional birthstones for May, as officially adopted by jewelers’ societies from around the world never differ from the modern-day May birthstones. As both Eastern and Western cultures credited Emerald as the birthstone for May, its meaning does not vary from one cultural context to another. Metaphysically, Emerald is considered a stone of intelligent activity and of service for the benefit of humanity (Horace L. Thompson, in Legends of Gems). Let us direct you next to the wonderful properties and effects Emerald has to offer. Colors not only govern all forms of non-verbal communication, but they also affect our mood, and they do it in a very subtle way. Along with a myriad of metaphysical theories associated to their symbolism, there is actually a whole area of science dedicated to this subject. Let’s take a closer look to the psychological meanings and effects of the May birthstone color. The birthstone for May comes in lovely, translucent, and velvety shades of green. Few of us know that Emerald is a word derived from the Greek smaragdus, and the Persian zummurrud, both meaning “green”. Green is said to support Balance, Love, Harmony, Communication, Social Interaction, and Acceptance. Associated to nature, health, freshness, the color has the power to mentally and physically relax its wearer. Emerald green is also related to the spectrum of love emotions: passion, tenderness, devotion, compassion. grant a sense of self-control. Contemporary uses are also based on beliefs held for centuries. In ancient Egypt, for instance, Emerald was worn as a talisman to ward off evil spirits and cure all sort of ailments. During the Middle Ages, it was also believed to endowed its wearers with honesty and a subtle mind. Among its quasi-medical uses, Emerald was used to cure melancholia (what we now call depression), and heart trouble. In Eastern cultures, people believed Emerald would cure eye conditions, even blindness. This belief has traveled the centuries as even today it is thought that green is one of the most restful colors for the eyes. May birthstone’s soothing effect is attested especially by those working in the gemstone jewelry industry from workers to watchmakers and engravers. It is said that many of them keep an emerald on the work table to help them relax and rest their eyes. I many countries it was believed that women would benefit the most from the power of the Emerald. Deep living green is a symbol of abundance and life. No matter the way you choose to wear or give an Emerald jewelry item, it is essential to know that during May it is said to heighten its properties. Emerald is especially generous in its effects with those whose birthstone it is. However, even if you are not a Taurus or a Gemini, you can choose a lovely May birthstone spring accessory to revive your senses. We’ve got a few ideas of you. One of the legendary uses of Emerald was in the form of a ring worn on the index finger. It was believed to assure its wearer of great memory and wisdom. However, as the Emerald is a stone of love and fertility, and it is held to bring happiness and constancy, it is most often chosen as an engagement ring. Choose a May birthstone necklace for its curative energy radiating through your chest. The birthstone color for May is also the governing color of the Heart Chakra, which is all about unconditional love and inner peace. Emerald green can do wonders. Use it to balance the chakras by connecting body, mind, and spirit. Don’t forget about May birthstone bracelets and may birthstone earrings. Enhance the power of your birthstone with a gemstone set. In ancient lore, the Emerald appears to be one of the sacred stone of the Atlanteans. Biblical references attest it as the fourth stone of the holy breastplate. It is believed that the Holy Grail was fashioned from emeralds. For this reason, early Christians regarded the stone as a symbol of resurrection. The Romans dedicated the stone to Venus, the Goddess of Love. Astrologically, Emerald is associated with both Taurus and Gemini. It is said to endow those born in May with probity, a calm, pleasing temper, and also inventive genius. We hope you enjoyed our May Birthstone guide. If you have any questions, comments, suggestions, or stories to share with us, please do leave a message. Photo Credits: 1, 2, 3, 4. Hey Buddy!, I found this information for you: "May Birthstone: Emerald Meaning and Uses". 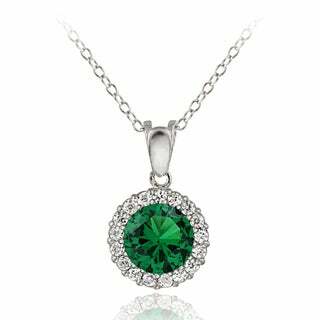 Here is the website link: https://accessgems.com/may-birthstone-emerald-meaning-and-uses/. Thank you.